If you live in Greene County you can access vital records such as birth, death and marriage certificates through the Greene County Clerk's Office. Births and deaths before January 1, 1916 and marriages before January 1, 1962 are recorded only in the office of the Greene County Clerk's Office. The County Clerk should have indexes to the records that are prior to 1916 available for the purpose of genealogical research. If you are searching for vital records after 1916 you can make your request to the Illinois Department of Public Health. Birth records less than 75 years old, death records less than 20 years old and marriage records less than 50 years old are not public documents and are only available to immediate family members. 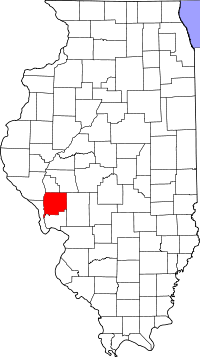 Vital records for Greene County can also be found at the Illinois State Archives.